The Green Collection offers a range of fuel-efficient cars perfectly suited to environmentally conscious drivers. 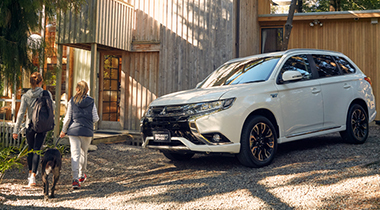 The new Mitsubishi Outlander PHEV is a ground-breaking plug-in hybrid electric vehicle with twin electric motors and a petrol/fuel engine, offering incredible efficiency. In pure EV mode, the Outlander PHEV offers emissions-free motoring of up to 54km, switching to its petrol engine for longer journeys. The vehicle’s superior environmental performance, 5-star ANCAP safety rating, AWD handling and smart interior adds to the unique experience that Hertz customers can now enjoy.